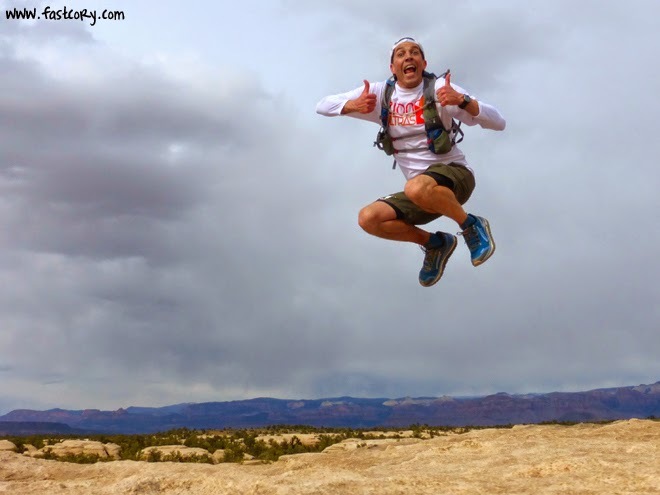 Fast Cory: Zion 100 Race Report 2014 - Best Ultramarathon Ever! 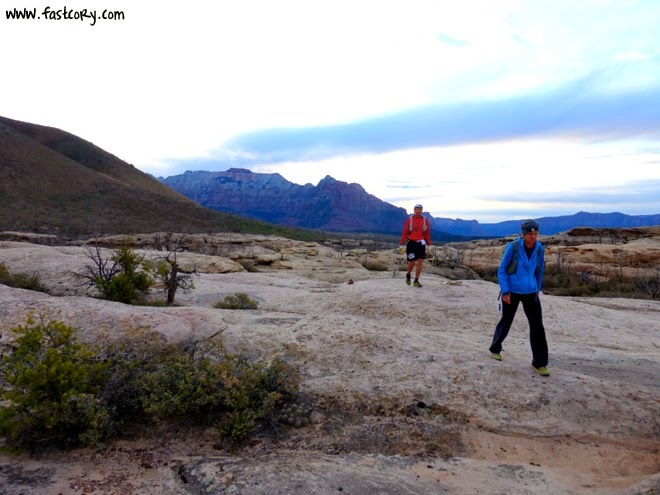 Zion 100 Race Report 2014 - Best Ultramarathon Ever! 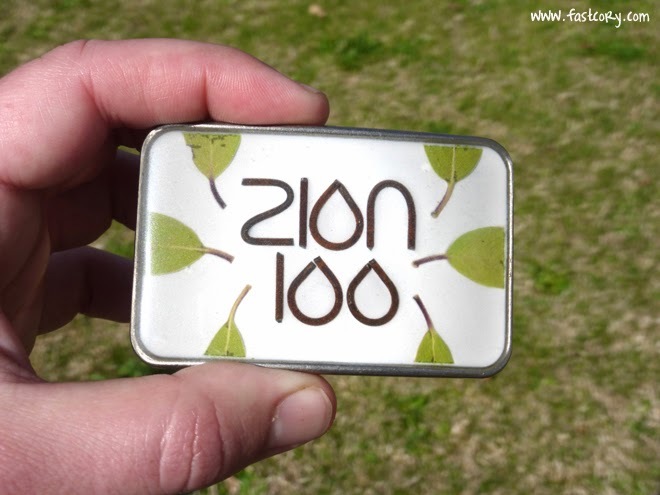 The Zion 100. Best race ever. There. I said it. 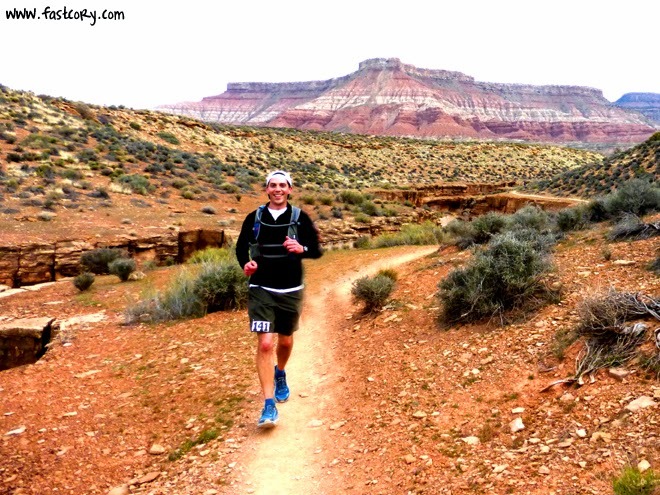 When I ran the Buffalo Run 100 miler two weeks ago I had no intention of running the Zion 100. But I recovered faster than expected. And the more I thought about it, the more I knew I had to run Zion. It's my hometown race. I do all my training on the course. I ran the inaugural race two years ago and ran it last year. I was ready to go for the triple. The race gives you a slap in the face warm welcome by starting you right up a 1,000 foot climb called the Flying Monkey Trail. There was initially a bit of a bottle neck, I assume because all the oxygen at that altitude was used up and nobody could breathe. 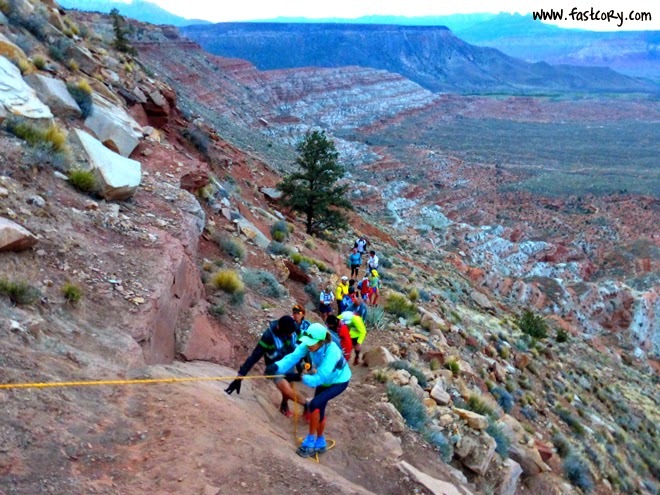 It's tradition on each of my Zion 100 race reports to include a picture of this section where all us saps are shimmying up a rope at a particular section of the trail. Go ahead and look back at the past two years and you'll see almost identical pictures each year. As if it was scripted, the sun rose right as we reached the top of the cliff. I couldn't help but stand there and watch, feeling so thankful to be where I was right in that moment. After getting some miles on the top of the mesa and hitting an aid station we took a short paved road down to the bottom. I was really happy to spend the first 16ish miles with my friend Jill. (Yep, Jill from the Antelope Canyon race.) We picked up this new friend Sam as we headed down the hill. 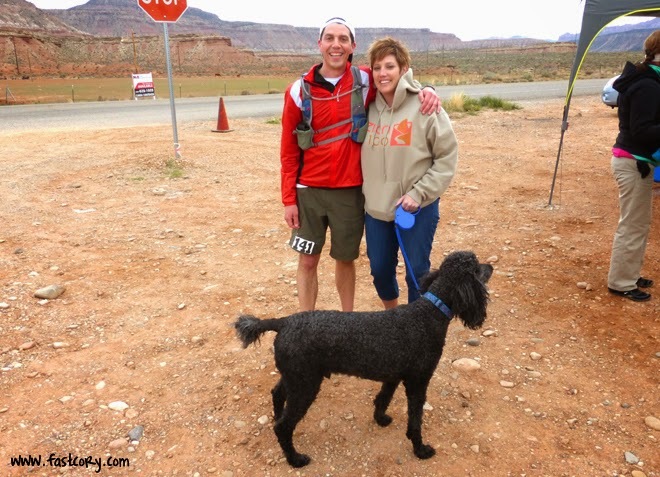 As we neared the aid station at mile 14 I saw a big, black, furry Brillo Pad prancing around and knew I had some familiar faces that would be meeting me. It was good to see my awesome wife Mel and our dog Aunt Jackie. It was equally awesome that Mel shared a big hit of her Dr. Pepper with me. 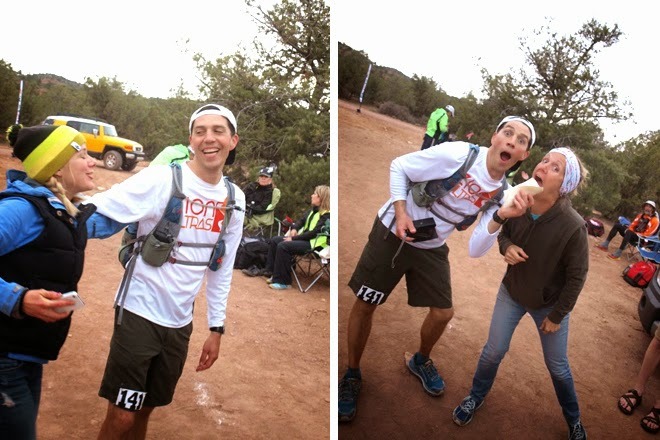 There was another familiar face at that aid station: my friend Turd'l Miller. I refer to him as the Julia Child of ultramarathon aid stations. Last year he made me some gourmet apple pancakes. (Which I later found out were pancakes with apple Hammer Gel on them. I could have killed him.) This year Turd'l concocted some tortillas smeared with Nutella and a sugar wafer cookie in the middle. Genius! Pure genius! After that high fructose kick to the gut we headed down the JEM Trail. JEM is one of my all-time favorites and it always makes me so happy to see others experiencing its pure awesomeness. I felt kind of like a proud parent watching Jill. She has told me for a long time that she wanted to do something like this so to see her make that enormous leap of faith to click the "Register" button and then to be having so much fun....it was just really cool to watch. 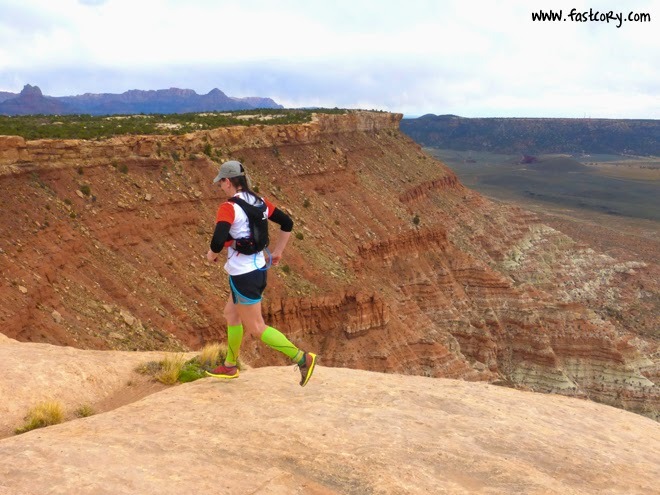 Jill was running her first ever 100k and after 16 miles the course split and we headed down different paths. She ended up doing awesome. I headed down the trail, just me and my trusty camera. I'm a little embarrassed to say this but I realized after the race that I had taken more than 400 pictures! If I spent an average of 15 seconds per picture, that would add almost two hours to my finish time! But guess what - I didn't care one bit. Totally worth that extra time. This was the first 100 miler I've done without a pacer or any crew. I actually enjoyed it. I prefer to do most of my training by myself so I'm totally used to being out by myself for hours. I like it. I ran most of the rest of the race alone. I made sure to keep my pace super conservative knowing that I'd need that strength and energy for later in the race. I just kept pushing on, enjoying the amazing scenery around me. I've run these trails so many times that I think I could run here with my eyes closed. 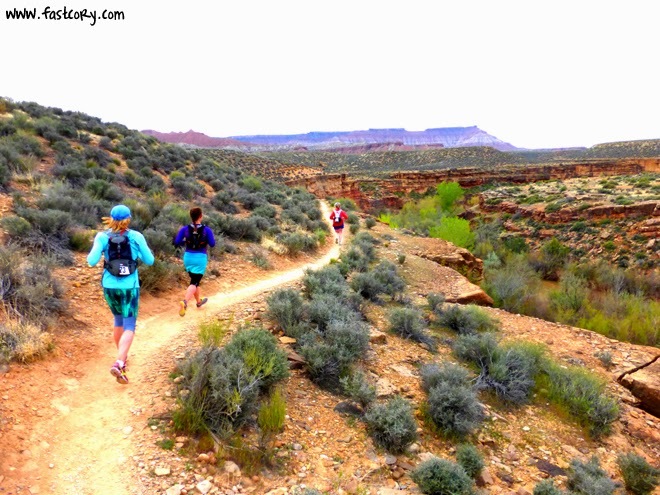 At mile 31 we reached the hardest part of the course - the climb to the top of Gooseberry Mesa. 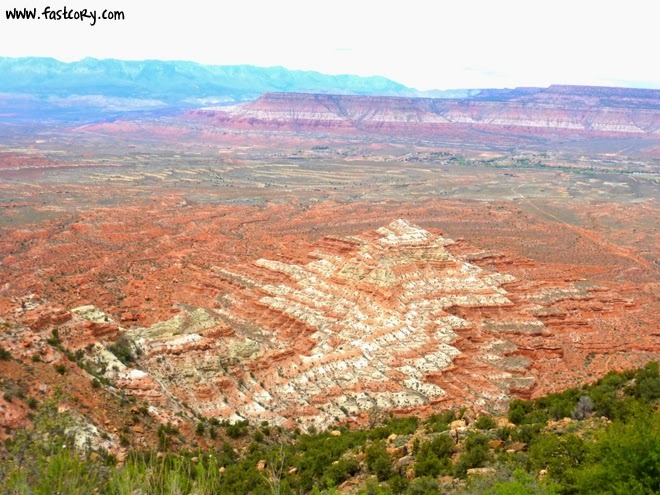 It climbs around 1,500 feet in less than a mile. I took this picture from a distance, and when I zoomed in very closely I could see what looks like little ants going up the mountain. But they aren't ants. They are runners. 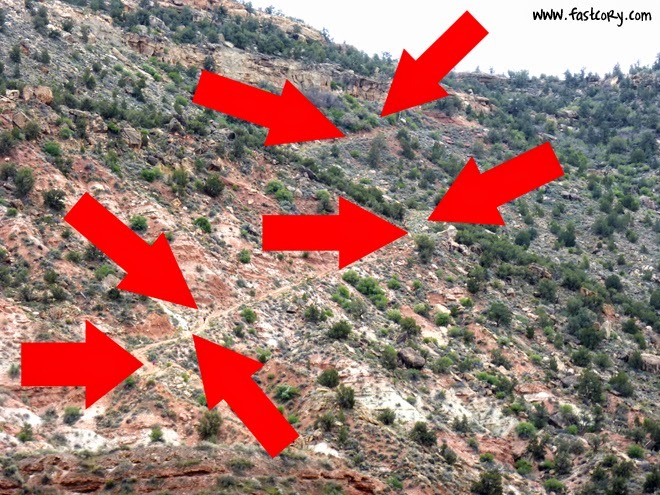 Each of these arrows points to a runner. The trail is vertical. I wasn't going fast, and it wasn't hot outside but a peculiar thing happened about half way up. I sweated out the last ounce of fluid in my body and my lungs filled with molten lava. I commiserated with other runners who were feeling the same way. My thought in that moment: "Are we current on my life insurance policy?" 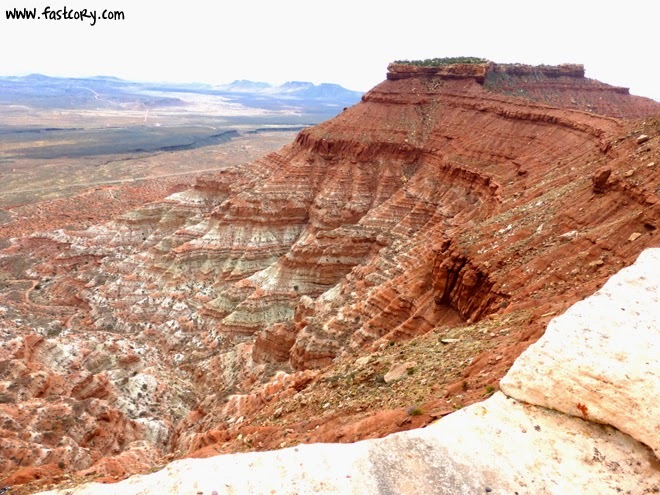 Eventually after something like seven months we reached the top of the mesa. To see the valley floor where the trail starts is pretty remarkable. 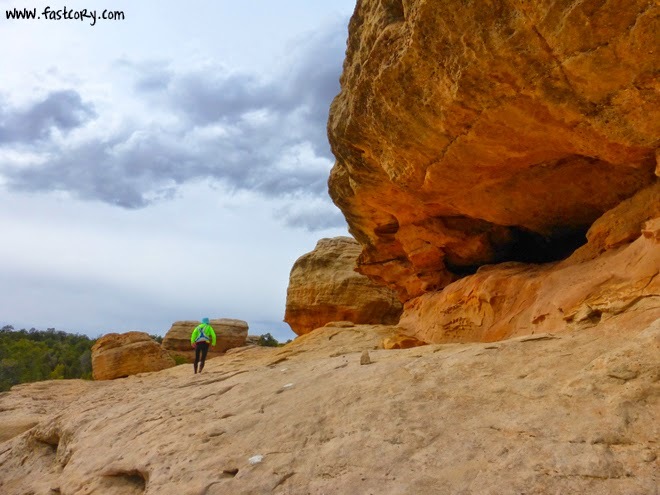 If you reach the top and haven't cached in on your life insurance policy yet you are treated to a few miles of glorious single track trail skirting the edge of the mesa. And then the glorious single track trail ends. And turns into a nasty, hellish beast of rolling, punishing slick rock that seems to shred the legs a little more with each step. 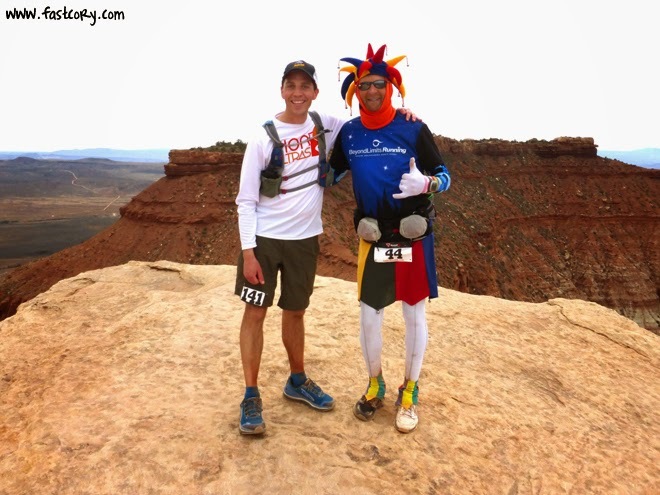 BUT I was able to spend some of those miles with one of my ultrarunning heros, Ed "The Jester" Ettinghausen. 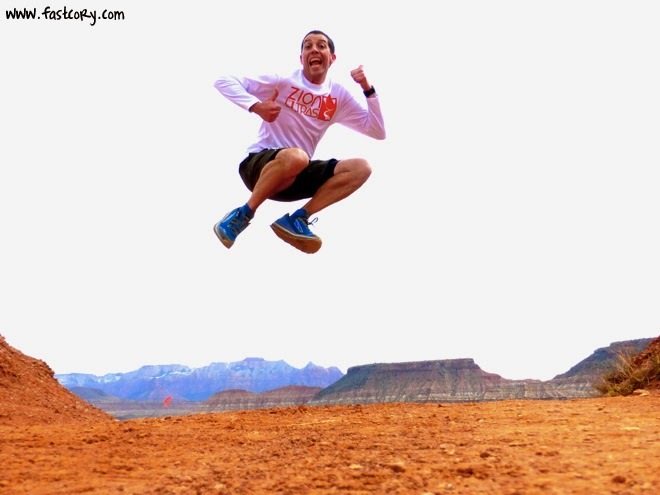 He is going for a world record 40 100 mile races in one year! 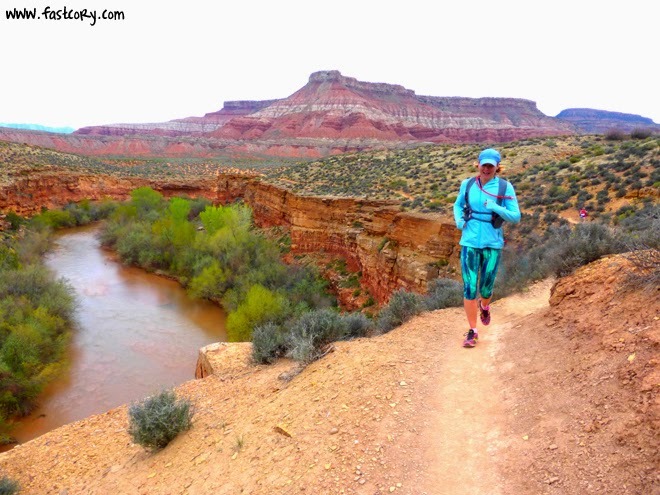 We finally reached my favorite part of the course - The Point on Gooseberry Mesa. It was an honor to be there with Ed who is an inspiration to so many runners including myself. When you're standing on The Point it literally feels like you are standing on the top of the world. The views in every direction really are indescribable. Then more scenic and completely soul-crushing slick rock. I had another surprise waiting for me after Gooseberry Mesa - Mel, my son Jackson, and my daughter Kylee! 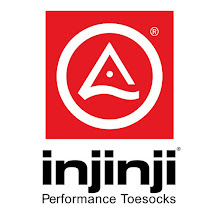 That is a great way to infuse energy back into some tired legs. I can't tell you how thankful I am for my family and all their support. 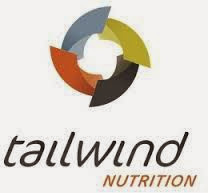 I used Tailwind as my primary nutrition for the race and my stomach felt perfect the whole time. 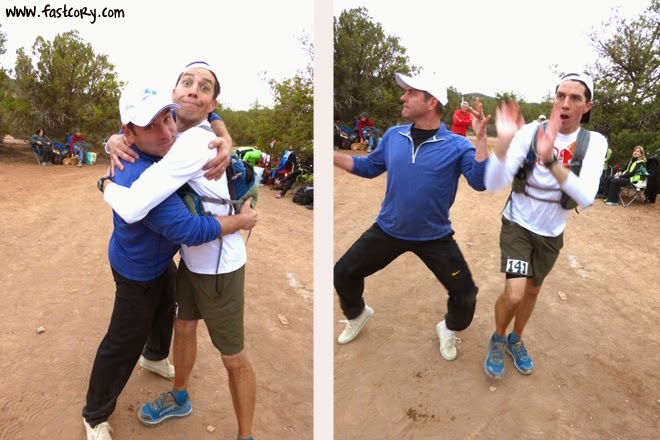 But when we came into that aid station my friend Jeff Manwaring was there. 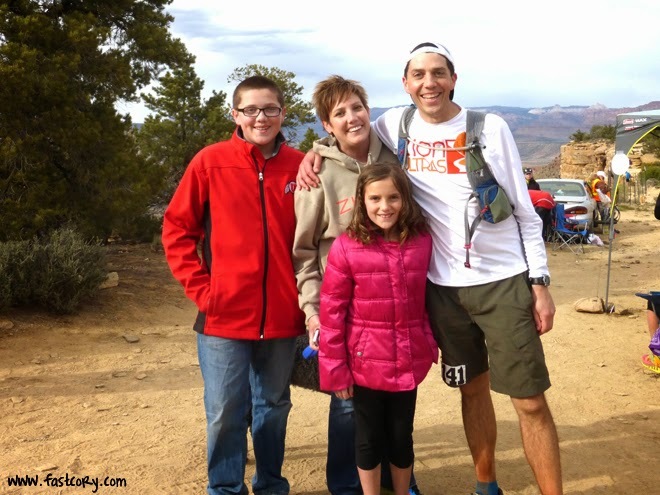 His wife Carol was also running the 100 miler. Jeff said "Do you want a steak and cheese sandwich?" He wasn't joking either. He gave me a steak and cheese sandwich! And it was delicious. Jeff is a legend at races for supporting and helping others. I love that man. I am honored to have him and his wife as friends. We hugged. And then danced a little. When it got dark I let Tom Petty, Mumford and Sons, and Bruce Springsteen be my pacers through the night. Since I had been conservative during the day I was still feeling pretty decent through the night. 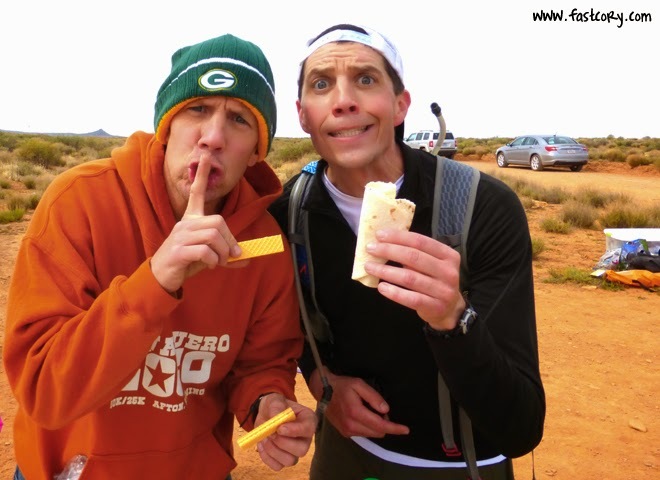 Finally I reached the last hard part of the course: mile 81-91 on the Guacamole Trail. 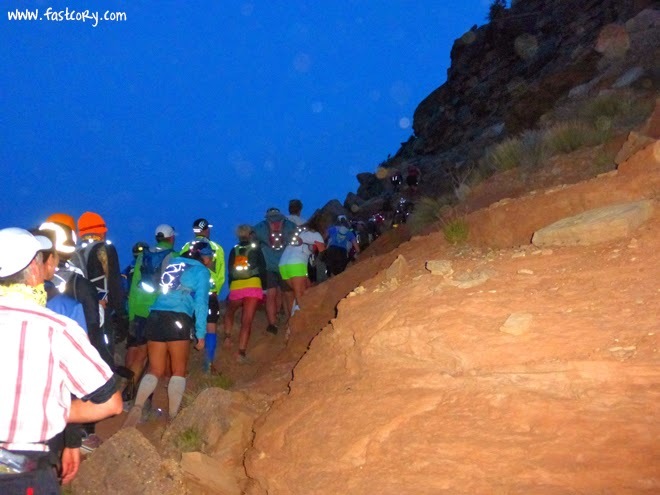 It is more hellish, weaving slick rock but the sun was starting to rise and I was starting to taste the finish line. At mile 95 the sun had come up. 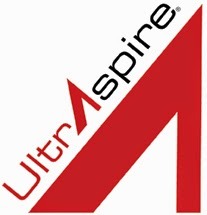 I wore some Altra Olympus shoes for all 100 miles and they worked like a charm! I saw lots of them out on the course. My legs were unquestionably tired but still had enough pep to do some running....and one last jump! I reached the home stretch and saw my family up ahead waiting for me at the finish line. 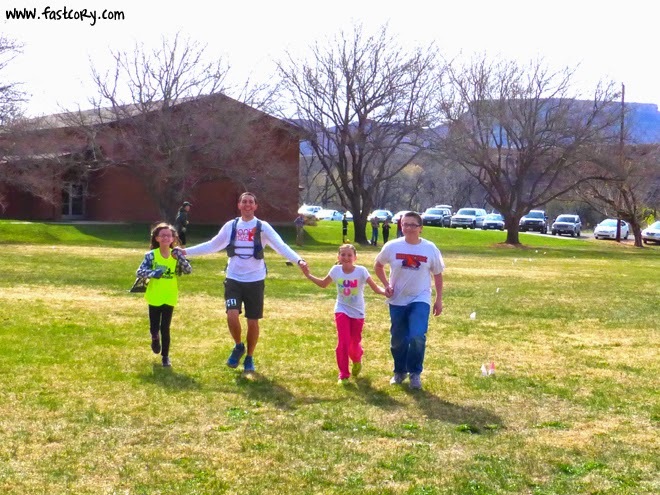 My kids ran up to join me across the finish line. It was such a happy moment to be there with those three little rug rats I love so much. Not sure on my exact time but it was somewhere a little after 28 hours. I truly can't fathom that I finished my eighth 100 mile race. It seems like a dream. 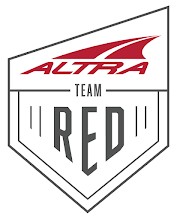 Huge, huge props to race director Matt Gunn, Rick Whitelaw who helped behind the scenes, and all the volunteers who made this race so amazing. 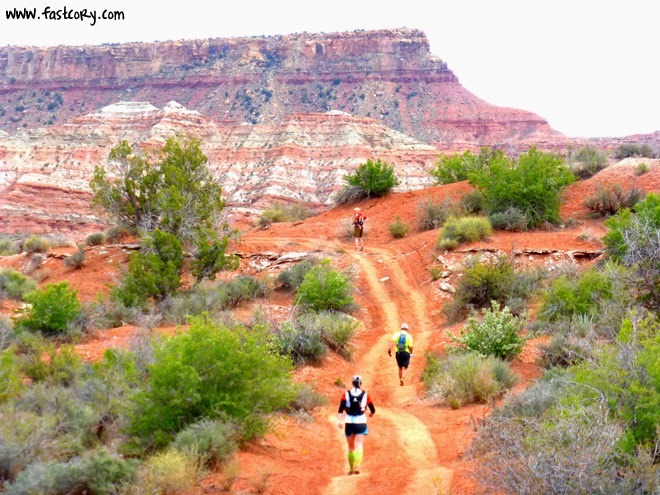 The Zion 100 (there is a 50k, 100k, and 100 mile distance) has become a premier destination race. The views are unmatched. And the cherry on top of the race is the choice of custom belt buckles. Each one is different, made from materials that came right from the course. I saw this one and immediately knew it wanted to come home with me. 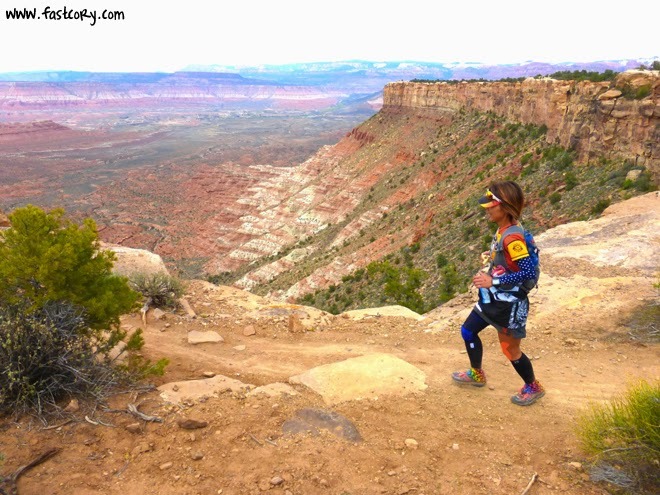 The pictures in this race report are a small taste of the amazing views on the course. 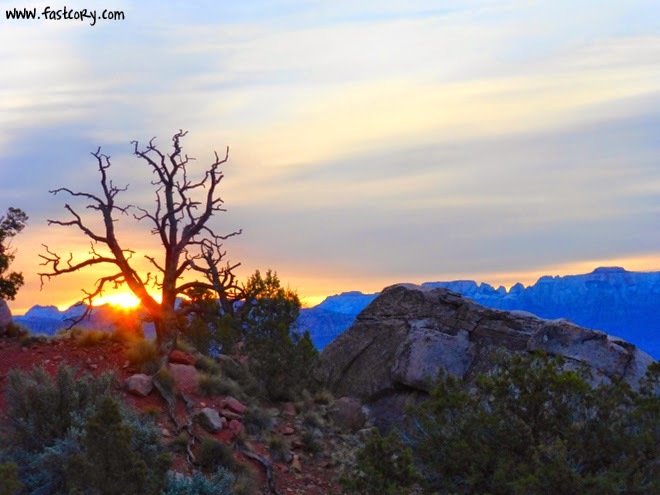 I put some more of those pictures into a video highlighting how spectacular Zion is. Here is the clip. Enjoy! 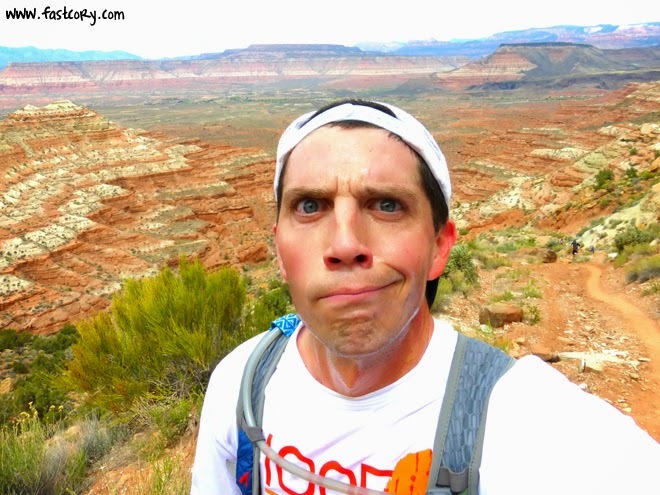 I don't know how you do it, but you manage to make running 100 miles looks fun and easy! Congrats on another 100 mile finish! You are amazing, and I love your race reports. It's no wonder you draw so many awesome people to you because your joy and excitement and positivity are just infectious. Well done, my friend. Big congratulations! Tortillas smeared with Nutella and a sugar wafer cookie in the middle? Heck that sounds like a treat anytime of the year! As always, thanks for the great write-up...love the pics! Excellent pictures, like always. Maybe, next year, I will be brave enough to click "register" for that one. Your positive energy is so contagious! Congrats on another 100! It wouldn't be so hard to take that many photos when your subject is just so amazing. 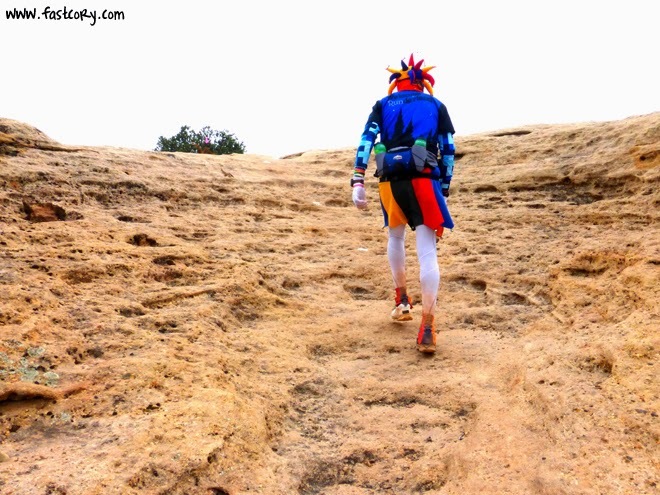 Congrats on another amazing ultra and some impressive shots of your escapade. Your story make me a little 'homesick' - so wish I could have been there this year again (btw, sending you an email here soon) and see you knock out another stellar 100. Special memories there ... your rocks your kiddos gave me are still sitting in a jar around my bathroom's tub and I think about the race each time I see them. Well done, my friend. Soak up that victory and keep up the incredible journey you're on! Can't wait to hear what's next! 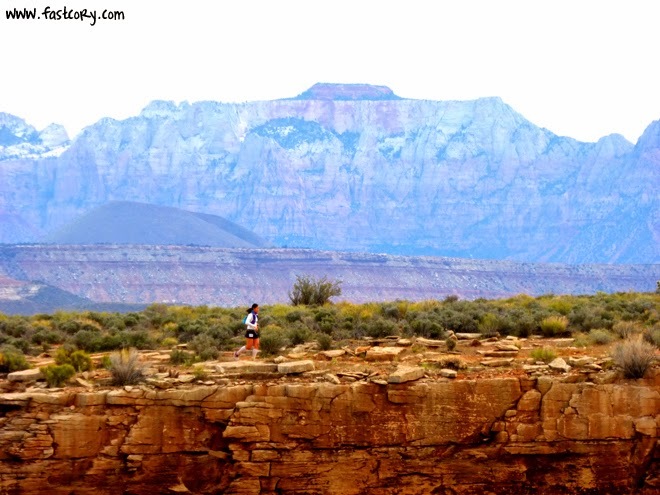 Great shots cory...nice to know there are picture perfect 100 miles races out there! I wish I could have the presence of mind to stop and take pics, but nothing I've done compares to those scenes. Great work and thanks for sharing. Fantastic run Cory! Those surroundings are breathtaking. 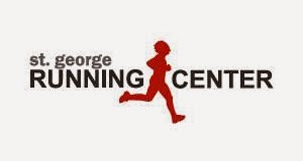 Every time I read a 100 mile report from you I say "that's the race I want to do in the USA". Now I've changed my mind yet again. Congrats, Cory! Awesome race report! Love how you celebrate throughout what could be a very harrowing task. How cool that this is your training ground! Zion's now #1 on my to do list!!! As always Cory, great race recap. I really enjoyed those couple miles we spent together out on that nasty slick rock stuff. Made the time fly by. Congrats on a great finish. 28 hours on that course is quite an accomplishment. See you at another race soon. Jester on . . . 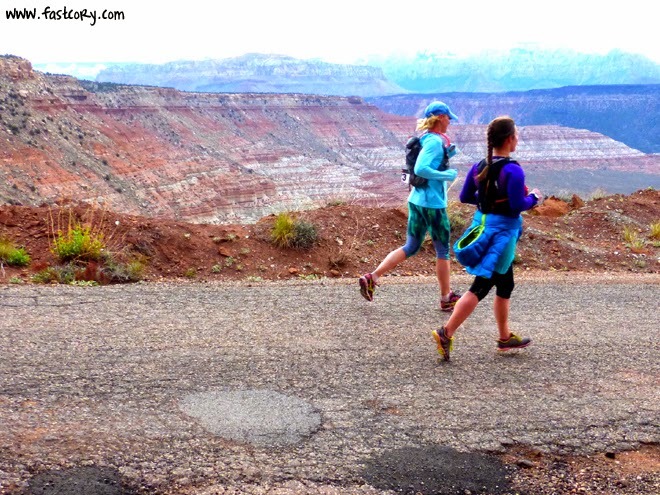 Loved, loved, loved this race report! 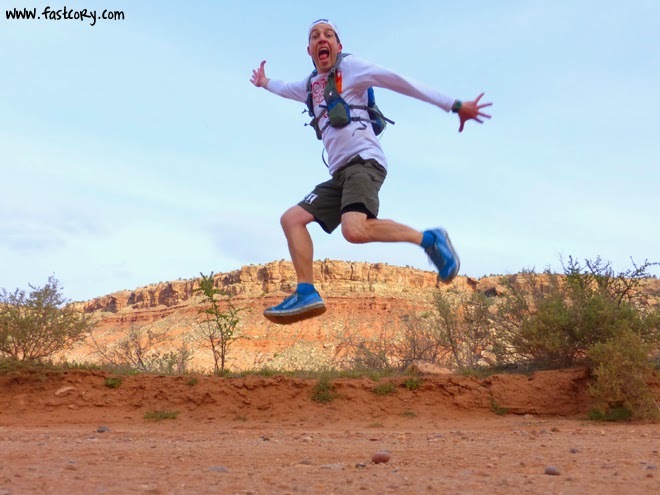 Great photos and I love your positive energy about the entire race. Awesome job! !